1: We are among the best bike handlers in the state, fast and strong; we can ride with the best. 2: We make really good cookies and enjoy offering them to the other area clubs in an effort to keep them fat and slow. The Skagit Spring Classic is often referred to as the “Cookie Ride”, and for good reason. We bake thousands of cookies. 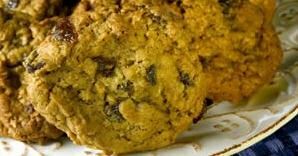 Cookies of all types, oatmeal raisin, chocolate chip, butterscotch chip, brownies, snicker doodles; the list goes on and on. It is our intent for you to leave our ride having consumed more calories than you burned. Rest stops are strategically located around the course, loaded with cookies, pretzels, bananas, power vines (aka. Twizzlers), sports drinks, water, watermelons, and bagels. Unless you have special dietary needs, food is NOT something that you need to bring on our ride. Simply stated our rest stops are second to none. 3: Sorry, we are not at liberty to discuss, in a public venue, the 3rd thing that Skagit Bicycle Club members are exceptionally good at.